Welcome to episode 130 of The Chumpcast! 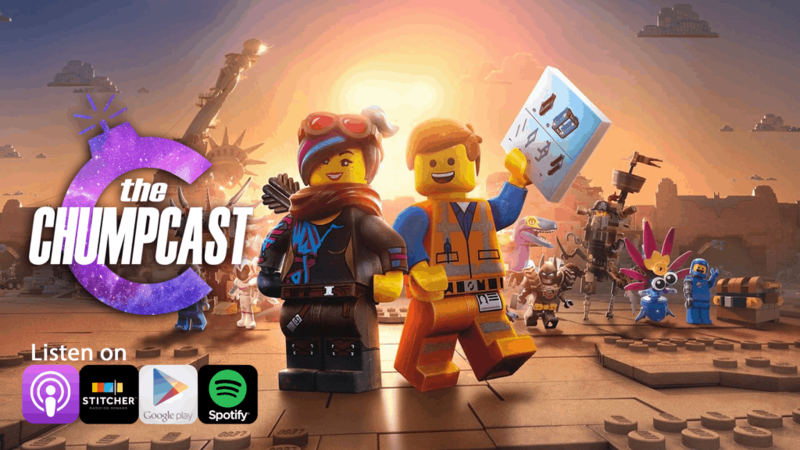 Let’s talk about The Lego Movie 2: The Second Part, Grundlestiltskin, and Big ol’ Nips. If you want more fresh content before everyone else, check out patreon.com/thechumpcast! You can find us on all social media platforms @thechumpcast. You can also call or text us at 847-920-6107. If you leave us a good enough voicemail, you might hear your voice on a future episode.